When travelling in France, you will come across many beautiful villages. In 1982, an association was set up to protect and promote the extraordinary heritage of the most beautiful villages of France. 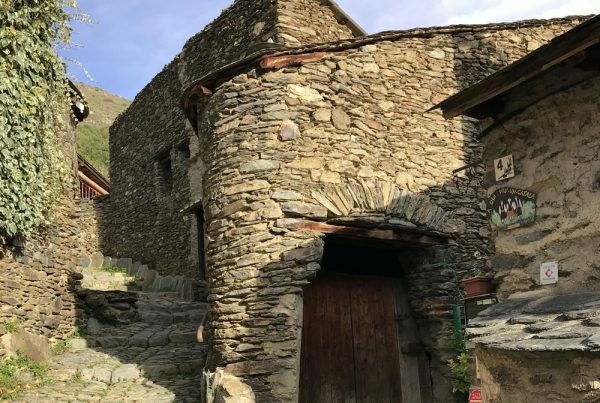 So, now and then, you will see a sign for “Les Plus Beaux Villages de France”, meaning that the village has passed the strict admission requirements of the Quality Committee. A village cannot call itself one of the most beautiful villages just like that! The Languedoc region has 15 of these extraordinary villages, of which 3 of them are in the region of Hérault. I cannot say which of these three charming villages is my favourite, as they all are very special! When you drive up the winding roads to Minerve, this amazingly beautiful spot and its stunning landscape will overwhelm you. 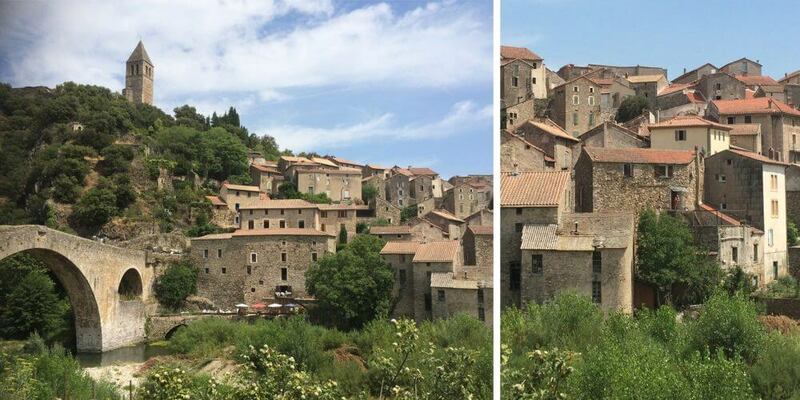 Minerve is an ancient Cathar fortress and is surrounded by gorges that eroded from where two rivers La Cesse and Le Brian come together. The village is perched on a high ridge, which offered a naturally strong defensive position to protect it. However, this position could not prevent the burning of 140 Cathars on the village square in 1210. To remember the Cathar martyrs, you will find a memorial stone with a dove carved into it near the church. 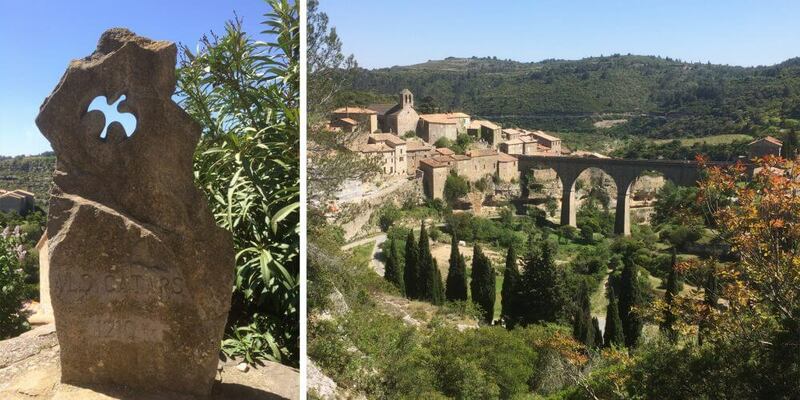 When visiting, you will see that Minerve is very well-preserved, and it will take you straight back to the Middle Ages with its winding, cobbly roads. A lovely walk brings you down to the river where you can see the natural bridges and the Saint-Rustique well. After that, I suggest you end your visit with some fine wining and dining at one of the delightful restaurants. 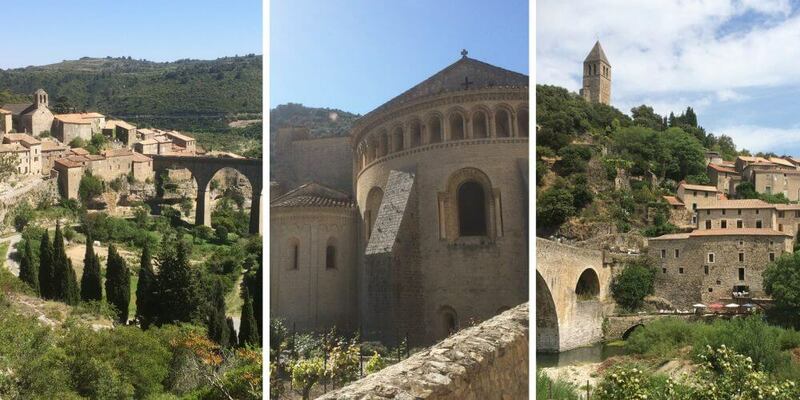 You will find the fortified village of Olargues in the middle of the South of France and the Massif Central. With the best of both- chestnut and cherry trees right next to vines and olive trees. The river Jaur almost encircles the entire village, which is why you will find so many bridges. Olargues also has a “Pont du Diable” (“Devils Bridge”), just like the famous bridge in Aniane near Saint-Guilhem-le-Désert. The legend goes that the villagers used this bridge for deals with the devil himself. The village of Olargues dates back to a long time ago. The village obtained its “City rights” in the 12th century and became, during the Middle Ages, an important economic and military town. A castle was built, together with ramparts and nine entrance gates. The actual castle no longer exists, but you can still see its belltower and the remains of the ramparts. Stones of the ruined rampart were used to build the Saint-Laurent church. The perfect time to visit medieval Saint-Guilhem-le-Désert is in Spring or Autumn when nature is at its best. 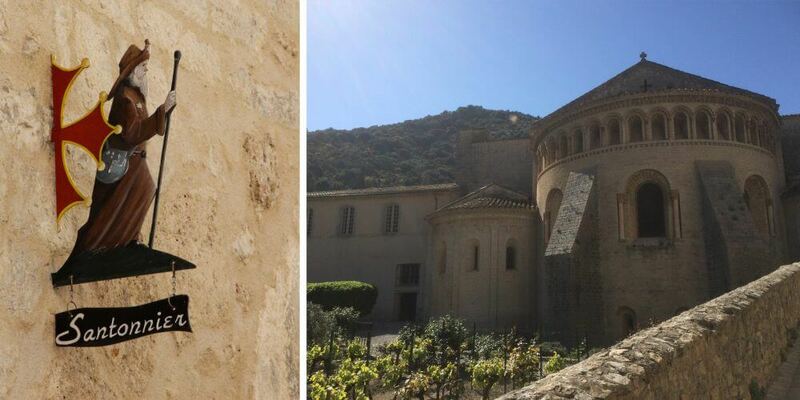 Surrounded by the wonderful “Parc Naturel Régional du Haut-Languedoc”, this village was formed around the Gellone Abbey. Word has it that the abbey contains pieces of the True Cross, which attracted many pilgrims on the pilgrimage to Saint James’s Way. 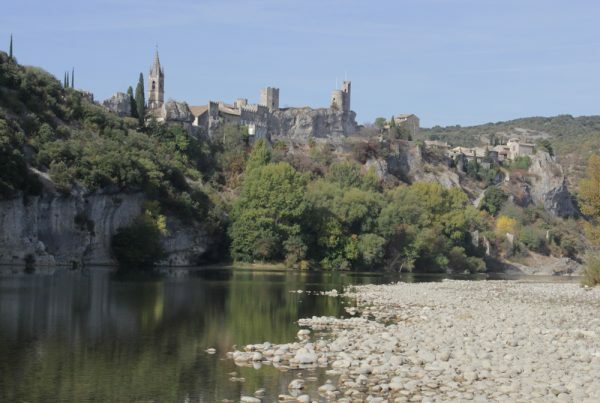 Today you will mainly encounter tourists, as Saint-Guilhem-le-Désert is a popular destination. 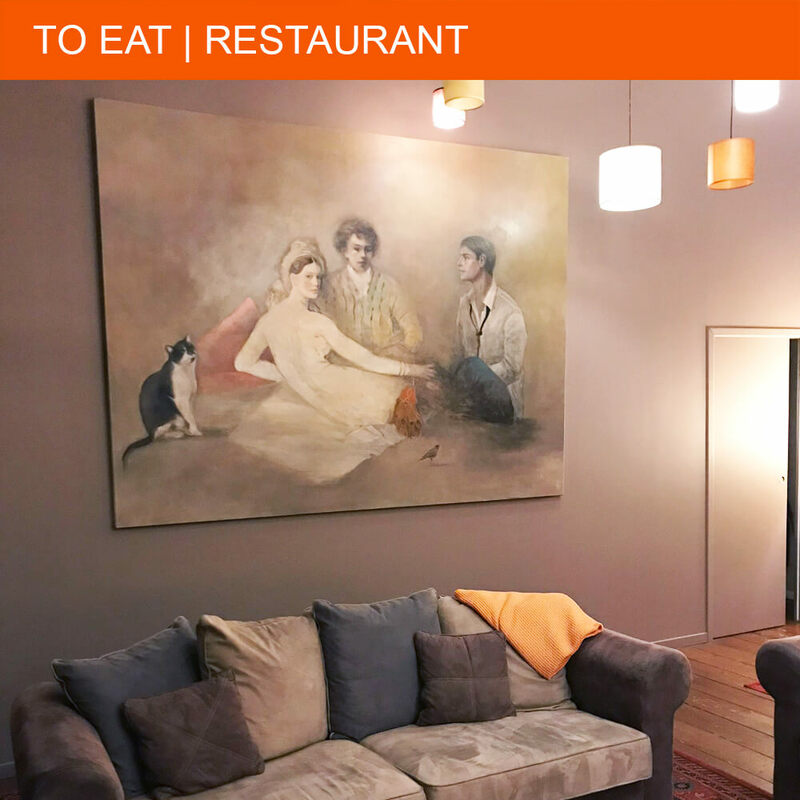 You will find many restaurants and independent shops with local products in the centre and around the 150-year-old plane tree on Place de la Liberté. You can easily spend half a day strolling through the narrow roads of this charming village. 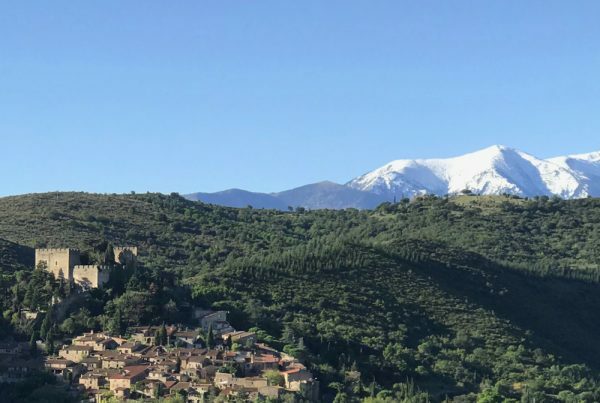 In 1982, the Mayor of Collonges-la-Rouge, Charles Ceyrac, set up an association to protect and promote the extraordinary heritage of the most beautiful villages of France. Of the approximately 32,000 villages in France, 156 villages in 69 departments have been selected to be “Les Plus Beaux Villages de France”. Of these 156 villages, 15 are in Languedoc-Roussillon and 3 of them in Hérault.